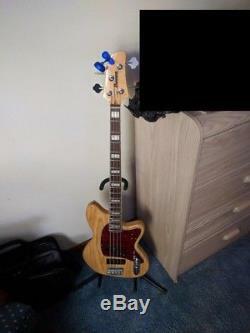 Banez TMB600 Bass w/ gig bag and a Ampeg SCR-DI Pedal. It also includes some little extras like a clip on tuner, cable, stand and a few books. It's everything someone needs to get started with playing bass. They are all used but in excellent shape. They come from a smoke free home and I have been the only owner. Here are some links to the items on Musician's Friend. The item "Ibanez TMB600 Bass with gig bag, Ampeg SCR-DI Pedal, tuner, stand" is in sale since Monday, September 10, 2018.